Elizabeth silver traditional mirror. A traditional heavy swept frame with ornate detail and a bevelled mirror. Available in four colours. Overall size.156X96cm. Depth.9cm. Elizabeth silver framed traditional mirror. 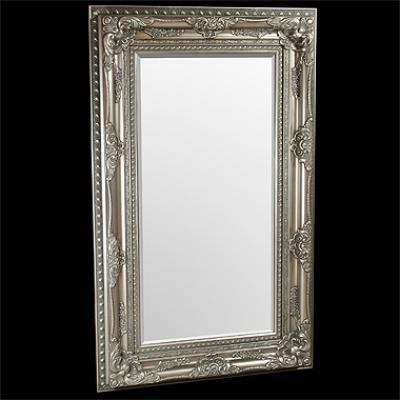 A traditional heavy swept style frame with ornate detail and a bevelled mirror. Available in four colours. Other colours available, black, white and white with silver.